It’s late Friday night, and we’re back with another gallery of fan art. Unlike last week, Fan Art Friday will be taking a planned break next week, as I’ll be in Cologne, Germany showing the game at Gamescom. In fact, all of our regular posts will be on hiatus… but we’ll have at least one new thing to make up for it. If you’re attending Gamescom, please stop by, play the game and introduce yourself! Remember, you can always submit your own fan art by e-mailing it to fanart@revergelabs.com! 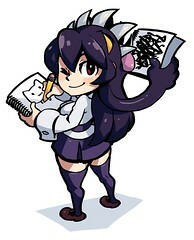 Filia defiantly covers her belly in this great piece by Popular Energy Drink. 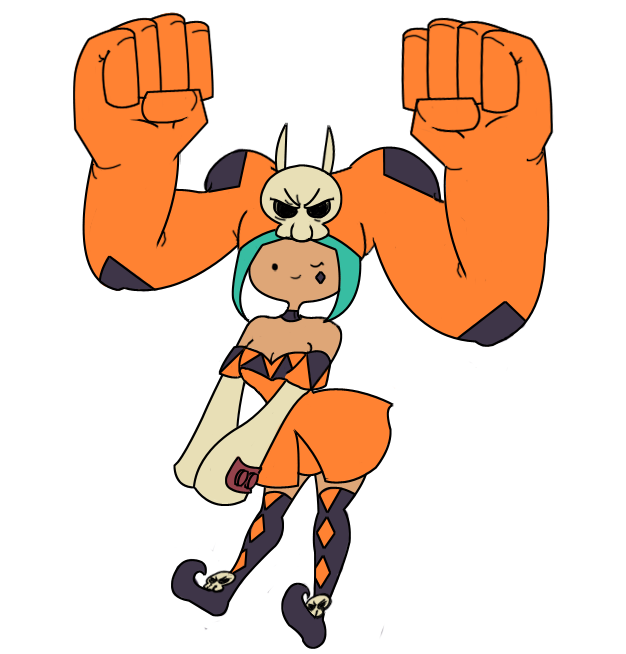 Jobobanana‘s take on Cerebella has a lovely Adventure Time-esque flair. Mayumi submitted this piece through our fan Parasoul cuts loose a bit in this great illustration by Mayumi. Oh god, how did this get here? I’m not good at computer… but BlackHarpyGoddess sure is good at fan art!